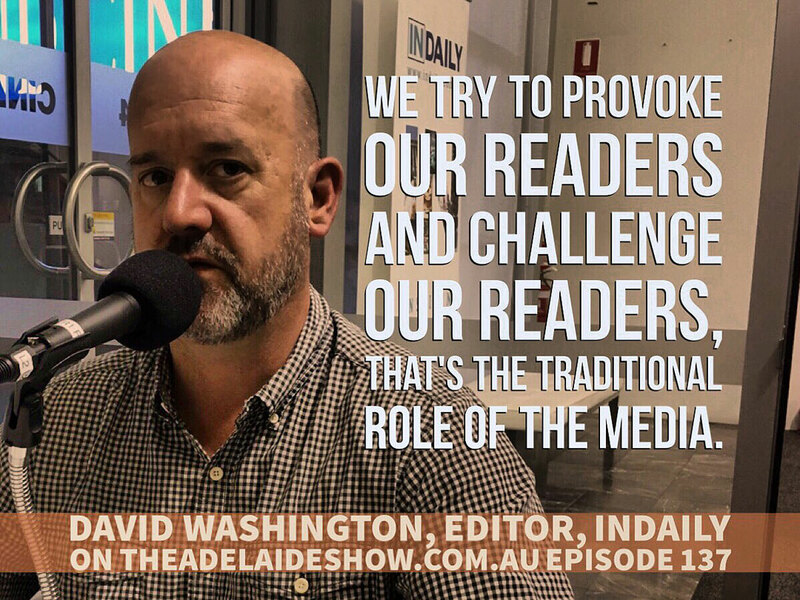 News should be about what’s important, about what ‘sticks’, so says David Washington, editor of InDaily Adelaide news provocateurs and our guest this week on The Adelaide Show podcast. After last week’s Digital Futures event in Adelaide, put on by InDaily and mUmBRELLA, we ask David Washington to help us grasp how journalism is doing in this age of disruption. At the end of the day, journalism’s important. It’s important for democracy, it’s important for the way society operates, it’s a profession that has ethics and, even though it’s an old fashioned word, morality at its heart, when it’s done well. Is Coalition worthy of a capital C? Which Adelaide newspaper was an ‘Adelaide Zoo’ paper that killed a negative story about the zoo on principle? Why have so many mainstream journalists become the monkeys to the organ grinding of their owners? Can you really keep and grow and audience by provoking them and challenging them. We also ponder whether InDaily has taken on the role of the defunct afternoon tabloid, The News. According to David, Messenger journos do some of the best journalism in Adelaide and he is a little bullish about the future of grassroots journalism even though Australia won’t do the honourable thing France has done and subsidised commercial journalism without fear or favour. Wine tonight is Take Two from Skillogalee. In IS IT NEWS, Nigel quizzes us on our knowledge of … media. The Adelaide Visa Council features … a celebrity case with Tim Burrowes from mUmBRELLA. **David Washington, editor of In Daily, gives us a midweek wrap of the news we’ve been talking about in South Australia this week. ** This is an informal, live version. Skillogalee 2012 Take Two Shiraz Cabernet Clare Valley … Tasting notes. This week: How health is reported on in the digital age. In Adelaide last week, InDaily hosted a business forum called Digital Futures to explore what business needs to be aware of in the realms of digital technology, which is changing society at a rapid pace. The key speakers were mUmBRELLA founder Tim Burrowes, Private Media chairman Eric Beecher, Outbrain’s Yoav Tourel, and APEX Advertising’s Pippa Leary. 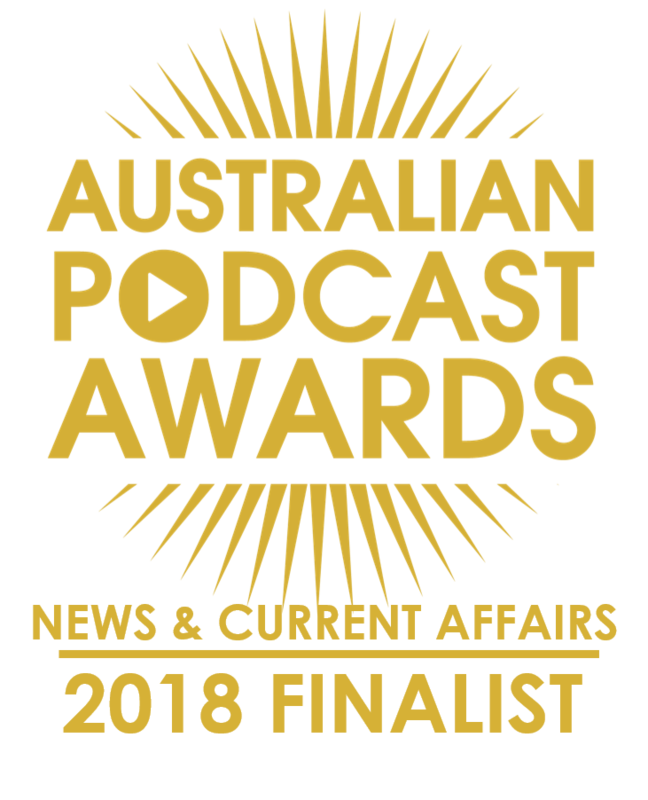 I was there for The Adelaide Show and came away with a swag of notes, the infamy of asking a question about superheroes that dominated about 10 minutes of the program, and lots of questions and ideas to ponder about how Digital Futures as a topic, affects journalism and, by default, our society. So we are turning to our regular commentator and editor of InDaily, David Washington to give us some of his insights into the changes being thrust upon journalism and the media by digital technology. And our song this week is At The Hive by Donnarumma, selected by our musical curator Adrian Miller, from Radio Adelaide’s Monday night program, Songcatcher.